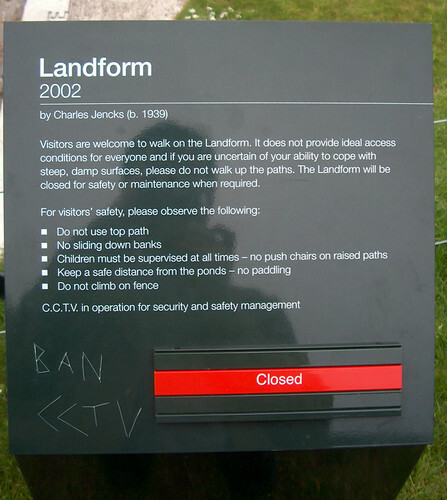 landform sign, originally uploaded by alister. Actually saw the 'parkie' chuck some snogging goffs off this environmental artwork at the Museum of Modern Art. He blew his whistle, it was like something out of the Beano.